THE Pre-Workout is always on hand to push you to peak performance — with its unique blend of ingredients designed to help power through even the most intense workouts. 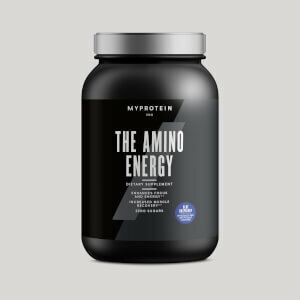 We’ve even added CarnoSyn® beta-alanine to enhance the buffering capacity of muscle, alongside 1500mg of Betaine Anhydrous, which can help increase power output. 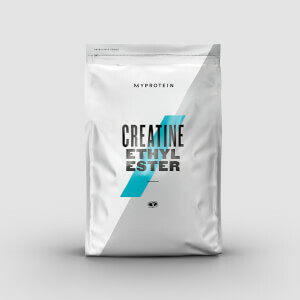 It also delivers yohimbine from the Western African evergreen, used by warriors dating back to ancient Egyptian times, specially blended with Nitrosigine®, AstraGin® and Bioperine® to create our unparalleled pre-workout. L-Citrulline DL-Malate: increases blood flow to muscles and amino acid uptake. 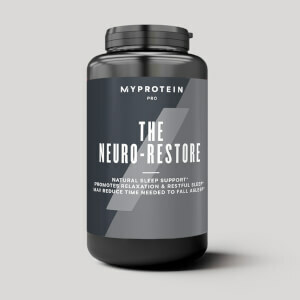 N-Acetyl-L-Tyrosine: reduces the effect of stress and fatigue on cognitive performance. Theacrine (TeaCrine®): improves motivation to exercise, concentration, energy and mood without jitters or irritability. Capsimax®: helps to promote lipolysis and support the mobilization of fats for energy production. Niacin: contributes to the reduction of tiredness and fatigue. Vitamin B12: contributes to normal energy-yielding metabolism. Potassium, Potassium Chloride, Yellow #6, Red #40, Blue #1. Acesulfame Potassium, Salt (Sodium Chloride), Red #40. The nutritional information is based on the Blue Raspberry Flavour version, when choosing an alternative flavour the nutritional values may vary. 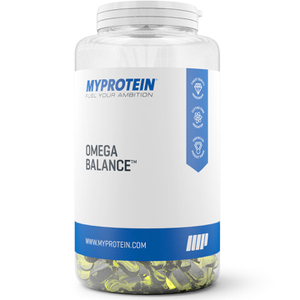 Dietary Supplement Blend of Caffeine, Amino Acids, Vitamins, Minerals and Plant Extracts. Blue Raspberry Flavor with added sweetners. I must say that I am very impressed by this preworkout. It tastes amazing and is very effective. I could notice the changes in overall strength and pump. The cola flavor is terrible but we are stuck with it. I can’t wait til it’s gone. I am not a very firm believer of supplements. I rely upon natural sources of proteins and carbs and all the performance enhancing nutrients but I have to travel a lot. With so much travelling it's difficult to maintain a healthy diet. If I have to use supplements I always go for this brand. It is the best out there. I am completely satisfied. Way better than others in the market ! This has been a kind of brand that has never disappointed me. Fine quality and amazing taste is always guaranteed. I am definitely reordering this. This has been a kind of brand that has never disappointed me. Fine quality at a very attractive price is always guaranteed. I am definitely reordering this. This has been a kind of brand that has never disappointed me. Fine quality at a very attractive price is always guaranteed. I recently bought this pre-workout since I noticed they didn't sell beta-alanine anymore (I used to mix my own ingredients separately). This stuff works great and has a great blend of ingredients and caffeine. The taste however.......it is so disgusting. I have the fruit punch flavor. It is so sour and tart that I can barely get it down. The only way I can bare to stand drinking it is to mix it half a scoop at a time with like 35% more water than they recommend. I'm not really sure what to say. The company offers pretty great prices, but the quality just hasn't been there for me. I've ordered 3 products that all haven't tasted very good. This product in particular was almost impossible to choke down. I have had one serving from the large size that I bought, but I'm considering just pitching the rest and going with a different company. I want to like these guys, but at least with what I've tried they haven't hit the mark. Would get this prework out again works really well and the is good! !